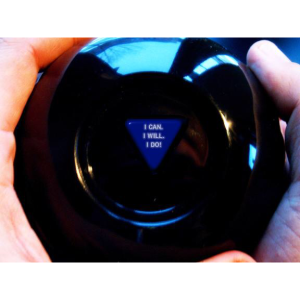 Did you ever have one of those magic eight balls growing up? Where you’d shake shake shake it, ask a question and then the little floating triangle would tell you your answer? I’m currently considering Amazon-priming one in celebration of this Saturday, which will be exactly eight months until MY magic(al) day. There are so many questions I’d love to have answered too, ideally all ending positively (please!). Do they sell happy-only ones? 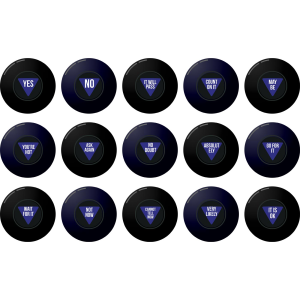 Magic 8: Sure will! What a thrill! Alex: But when will that be? Before I marry? Magic 8: Oh quit with your sorrow, it will come off tomorrow! Alex: Wow, that’s insane! Should I celebrate with champagne? 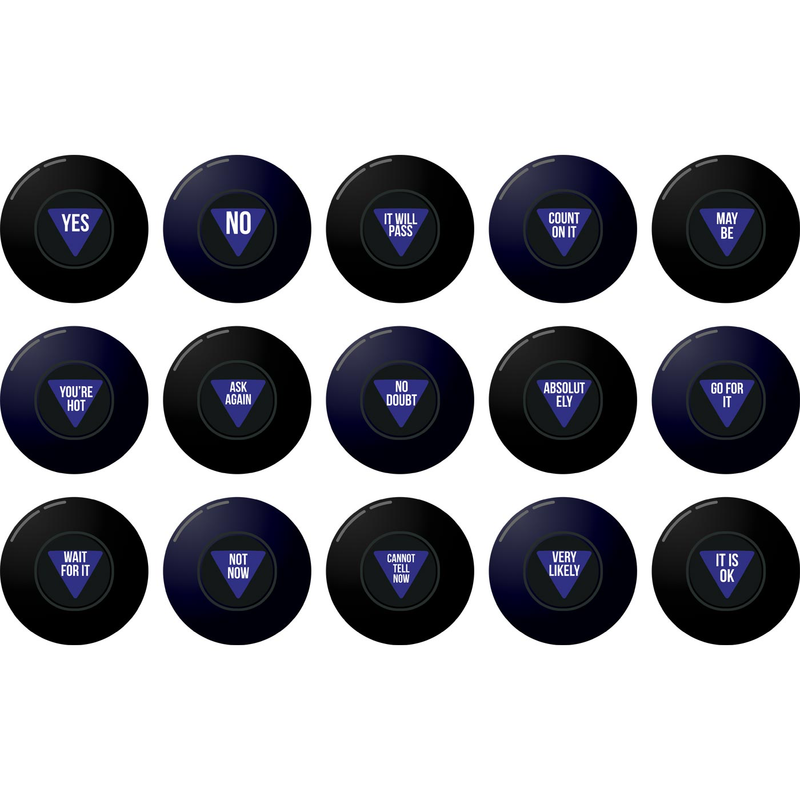 Magic 8: Absolutely, you’ll stay fit. And grab a box of sprinkle doughnuts while you’re at it! Alex: Thank you magic 8! You’re beyond great. 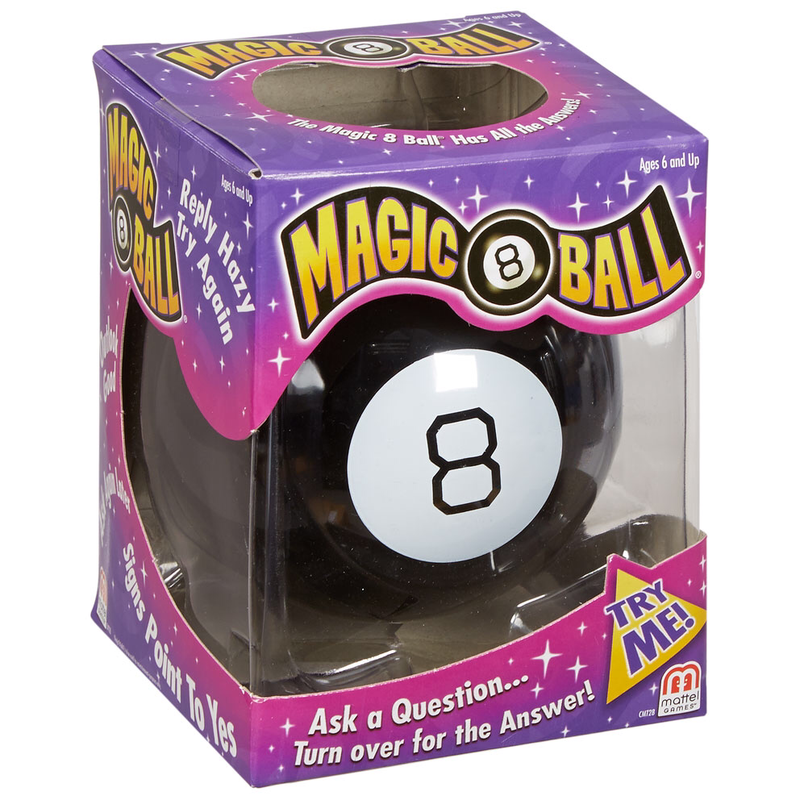 Magic 8: No that goes to you! YOU CAN, YOU WILL, YOU DO! Okay, time to pinch myself out of “magical” la la land. Sadly. I know, it’s going to take a whole lot more than shaking a giant billiard ball to get my answer. The good news here is I still have eight months to go. The bad news is, I’ve already had 10 and haven’t lost half the total weight I’d like to yet. In the beginning of this journey the pounds, and my pants, seemed to be falling off. My scale was my cheerleader, and my body was changing, quickly and noticeably. Unfortunately, my recent post-holiday weight loss is feeling a bit like a pie chart (minus the pie). I’ve been working harder than ever before, gym-ing and/or cycling six days a week, getting sleep, cooking fresh, and farmer’s marketing, but somehow my scale is either broken or has decided to stop budging. This plateau could easily (and instantly) have made me lose my total motivation. Yes, it’s frustrating, beyond frustrating, but I have to believe that sometimes numbers alone aren’t fully telling the whole story. I am feeling, and I think looking, stronger and healthier than I have in a long time. That should count for something right? And if so, what now? Well, I’ll just keep on going. I CAN, I WILL, I DO. My MOH (maid of honor) told me about this thing she saw on Pinterest where you get two jars and marbles for each pound you’ve lost and want to lose. 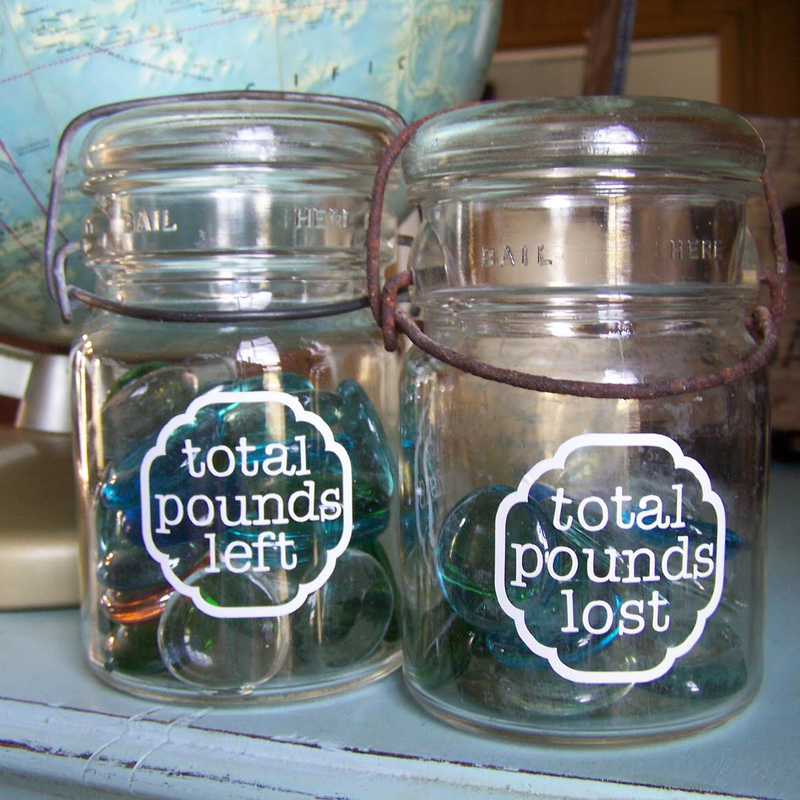 You put the number of pounds you’ve lost so far (in marbles) in one jar, and what you have left to lose in the other. When you lose a pound, you get to move a marble. And if you gain one? Same rules! No cheating *(I’m telling myself this, not just you, by the way). I’m hoping this will be a bit of a cheerer-upper, especially since I get to start with a partially filled “pounds lost” jar! With 75 rainbow marbles currently in my Etsy cart (30 for the “loss” jar, 45 for the “to go”! ).